Born and raised in North Philadelphia, PA, there was something about Mya that made her teachers either call home about her class clown antics or rave about her grades. A Mentally Gifted student throughout primary and secondary school, Mya attended the prestigious Philadelphia High School for Girls’. After graduating in 2002, she attended Community College of Philadelphia and enrolled into the dual-degree program, catapulting her straight into Temple University where she completed her Bachelor’s in Magazine Journalism. While at Temple University, Mya founded the mentoring organization, A Step into Sisterhood and eventually created a male version, Brotherhood in Existence, the following year, working closely with the Lambda Chapter of Kappa Alpha Psi Fraternity, Inc. The organization mentored children and young adults between the ages of 9-21. They worked closely with Grover Cleveland Elementary School and YouthBuild Charter School in Philadelphia. Working with Youthbuild Charter, they helped high school drop outs achieve great success in getting their diplomas. The organization also hosted two major campus events that drew the attention of State Representative Thomas W. Blackwell, IV, the son of the late Lucien E. Blackwell, and other keynote speakers and business owners throughout the Philadelphia area. She received her Master’s in English (Creative Writing) from Arcadia University in 2010. She relocated to Atlanta, Georgia in November 2011 to pursue her career in film and television. She self-published her first book, Speechless: Short Stories on June 6, 2012. Award-winning actress Terri J. Vaughn of the Steve Harvey Show gave Mya her first book signing and first book review. Ten months later, she was called on assignment by God to teach overseas. She spent a year teaching English in South Korea from August 2012 to August 2013. Since then, Mya has released ten more books, three of which were released on the same day (April 4, 2017), making Mya the first person in literary history to do so. Her first book signing for A Song for Jordan, her first young adult novel, took place at Barnes & Noble, one of the toughest chains to get into as a self-published author. Under Royalty Publishing House, she published five books in seven months, one of which was #1 for two weeks worldwide on Amazon and another was #1 for a week (African American Christian Fiction). 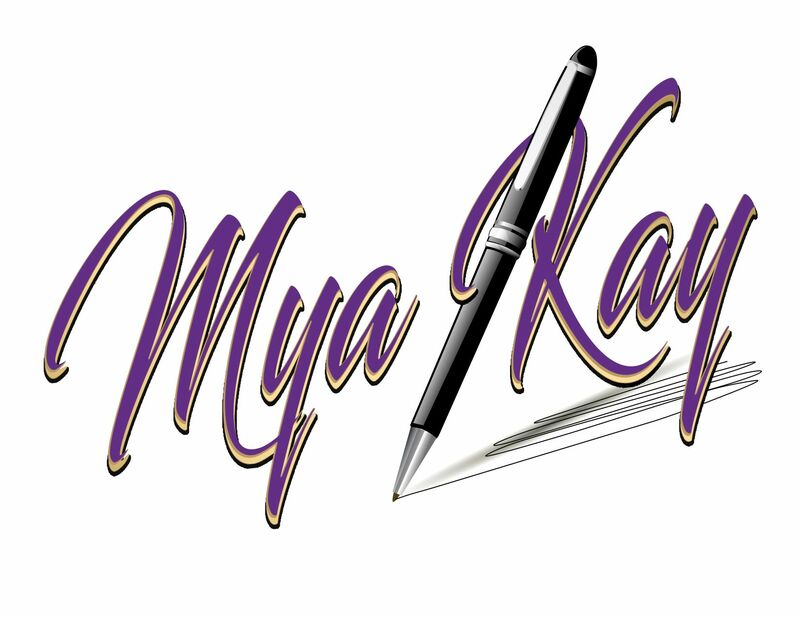 In addition to novels, Mya writes screenplays and runs a writing business in Philadelphia, PA. She is currently signed to The TMG Firm as an author and her latest three releases (The Clover Chronicles: Battling Brelyn, S.E.A.L. and Before Empire) can be purchased directly from the “Home” tab on her website.